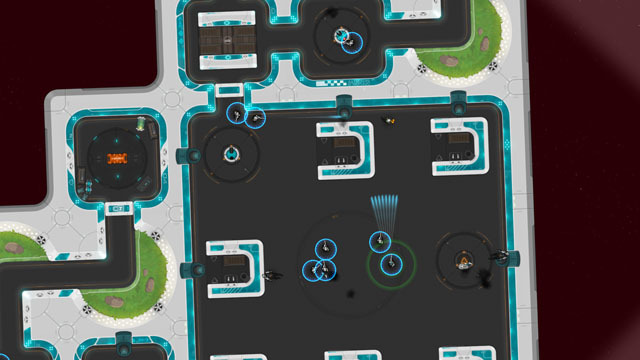 Tom Francis, the developer behind the excellently crazy spy/electrician game Gunpoint, is back with a brand new adventure, this time focusing on infiltrating ships in space with a focus on sneaking up on them by keeping your heat level low… thus the Heat Signature title. As you hurtle through space, you encounter ships, each of which has a radius of sensors looking for heat signatures. By lining up a solid thrust outside of this radius, and minor tweaks within it, you can slide past their sensors unseen and dock with the ship. From there, the game goes on-foot in a top-down perspective, as you infiltrate the ship and attempt to make your way unseen by patrolling guards… or at least unheard as you come up from behind and knock them unconscious. Different objectives include disabling ships and their weapons, killing a specific target, stealing technology, or even taking control of an entire ship. The game is now on PC via Steam and Humble Store.